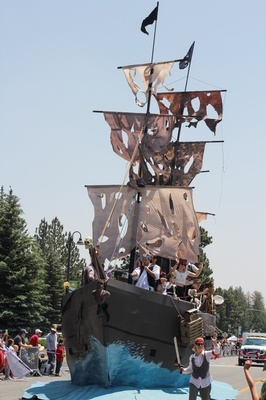 The Mammoth Lakes Chamber of Commerce hosts the annual 4th of July Parade on Old Mammoth Road and Main Street. Everyone is invited to watch the 4th of July Parade through town on Thursday, July 4. The parade starts promptly at 11 a.m. and ends around 12:30 p.m. The route starts at the intersection of Chateau Road and Old Mammoth Road (by Salsa's Taqueria) and ends at Manzanita Road and Main Street (by A-Frame Fine Wines & Spirits). Participants are allowed to hand out candy but it cannot be thrown to spectators. 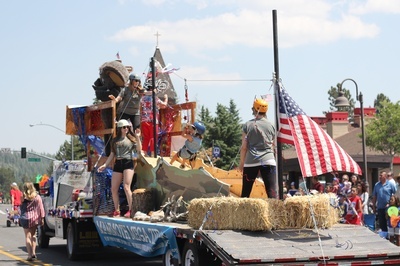 Wear your best patriotic outfits and bring your camp chairs to enjoy the parade of floats through town! Attendance is free and all are invited. Attendance is FREE for spectators! VIP tickets are available for purchase - Watch the parade in style with front row seats under the shade of our VIP Tent where you can enjoy a light lunch and drinks. Party favors included! $25 for adults (18 years and older), $15 for kids (3-17 years old - must be accompanied by an adult); Two and under are free.